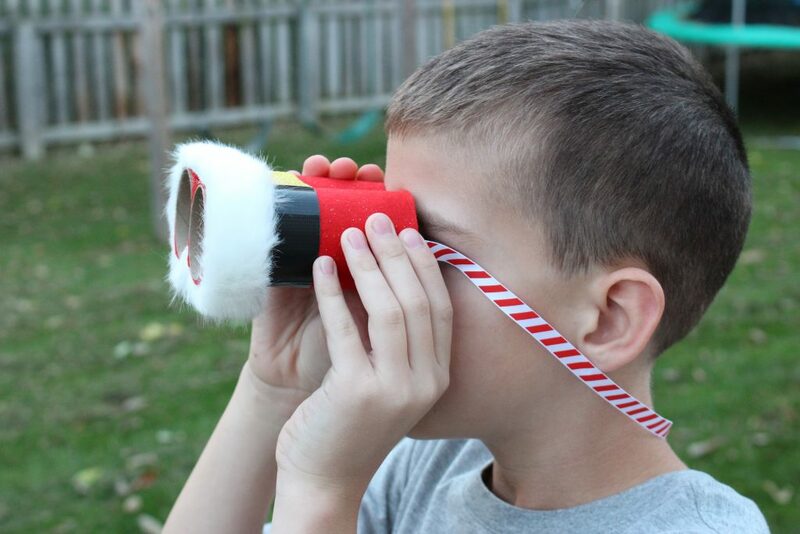 This Santa Binoculars craft is perfect for the upcoming Christmas holiday! 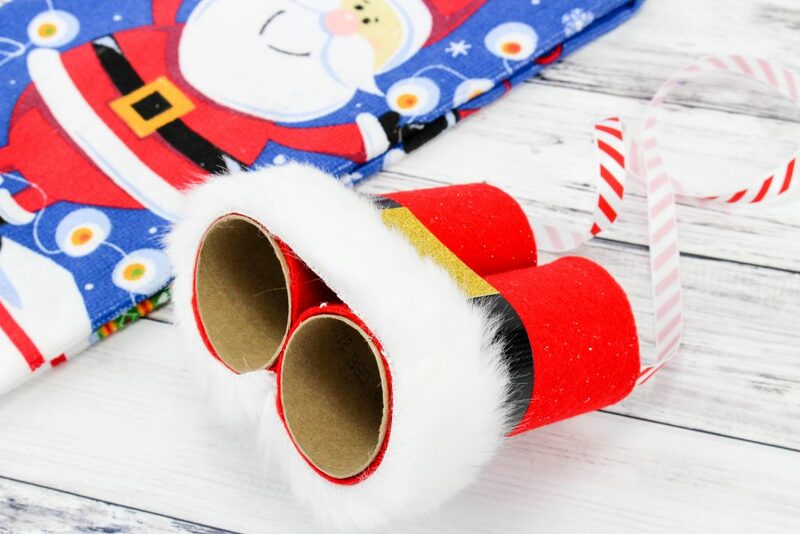 Your little one will love using them to “spy” Santa! 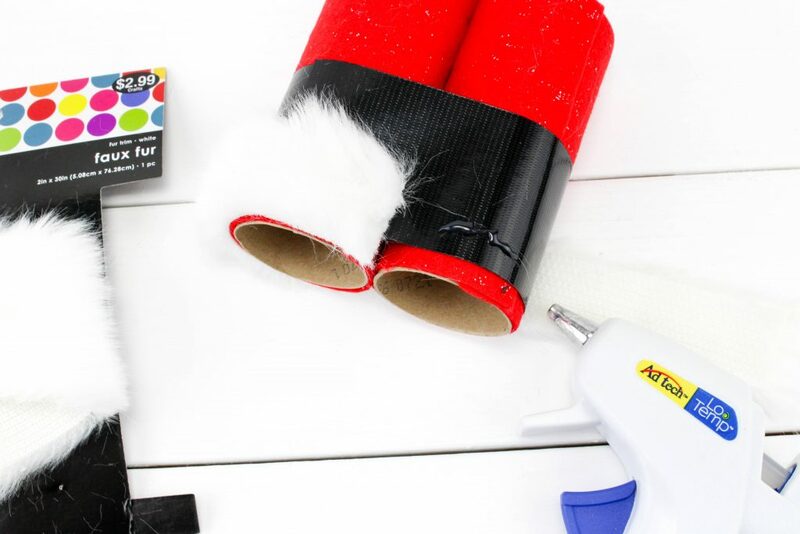 We all know that Santa sees you when you’re sleeping, so this fun craft is only fair so that your little one can now try and see him! 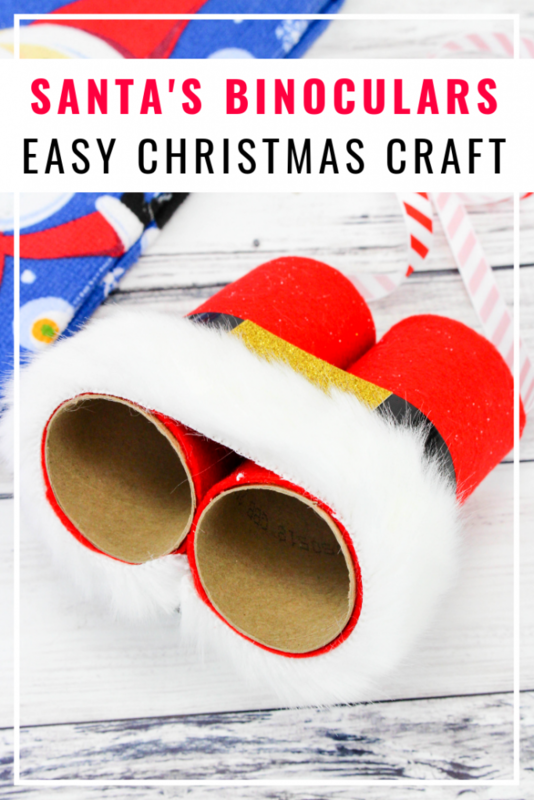 Think how much fun your child will have creating these Santa binoculars from start to finish and then using them to look up at the sky! Will they spy Santa and his reindeer? I don’t know, but it’s sure a cute sight to see. 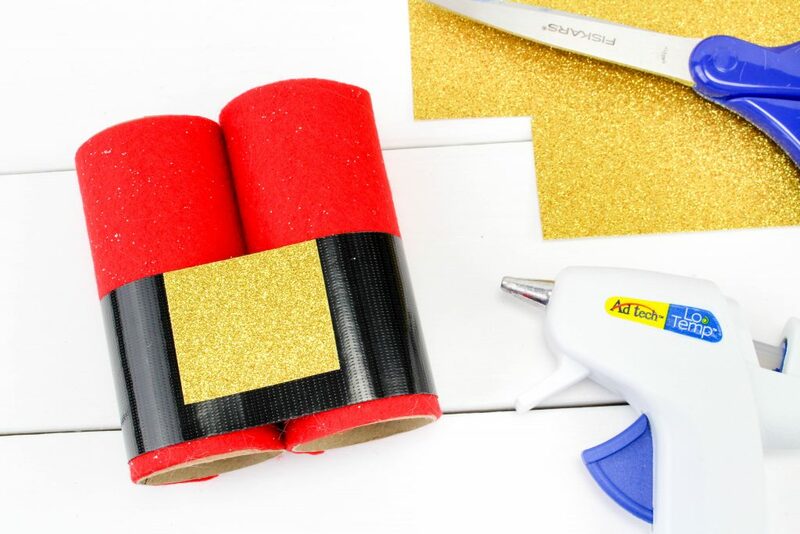 Not only is this craft really fun, but it’s also crazy simple too. All it takes is a few items, and you and your child are well on your way creating this fun craft. 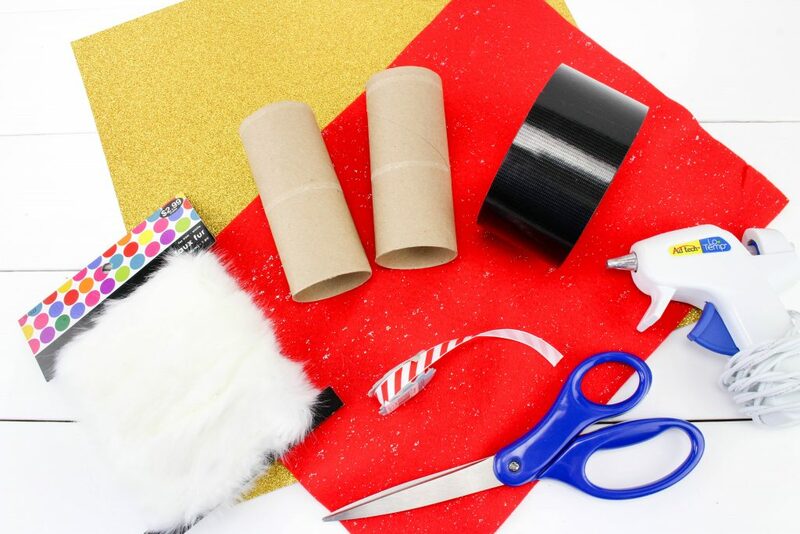 Add this fun craft to any holiday event! It’s especially fun if you can invite over some of their friends and let them all create together. Throw in a few cookies to decorate and you’ve got yourself a real holiday party! Make certain that you help your child out with this craft as there are some parts that need a bit of parental assistance! Start the spirit of Christmas early with this adorable craft! Place both toilet paper holders together and wrap the end with the black tape. This will hold the binoculars in place. Cut the ribbon/string to the desired length needed. 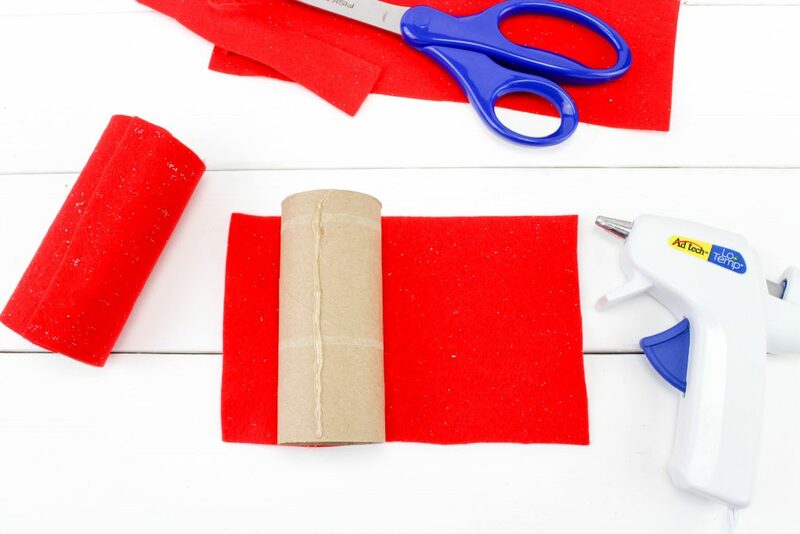 Glue each end to the inside of the toilet paper holders or between the felt and tp holder. What a cute idea! 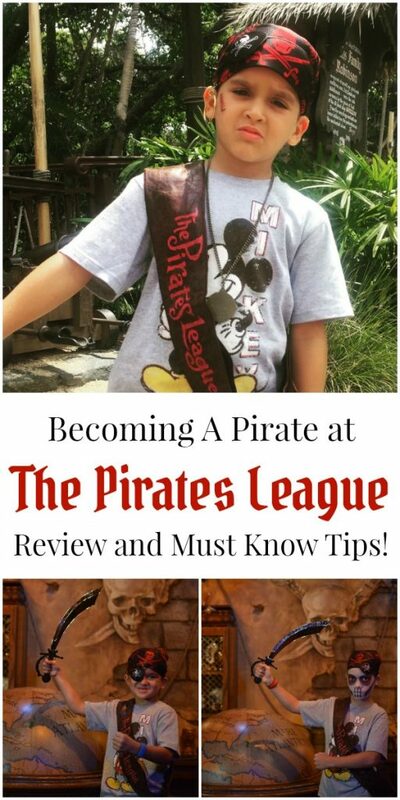 I am going to share this post with my friend – her kids will just love this so much! Haha! This is soooo cute. I’m going to make one for my 10-month-old daughter but I’m afraid she’s going to chew on them. This is such a creative idea. Thanks for sharing! This is the perfect thing to make with the kids! It’s super cute AND super easy! 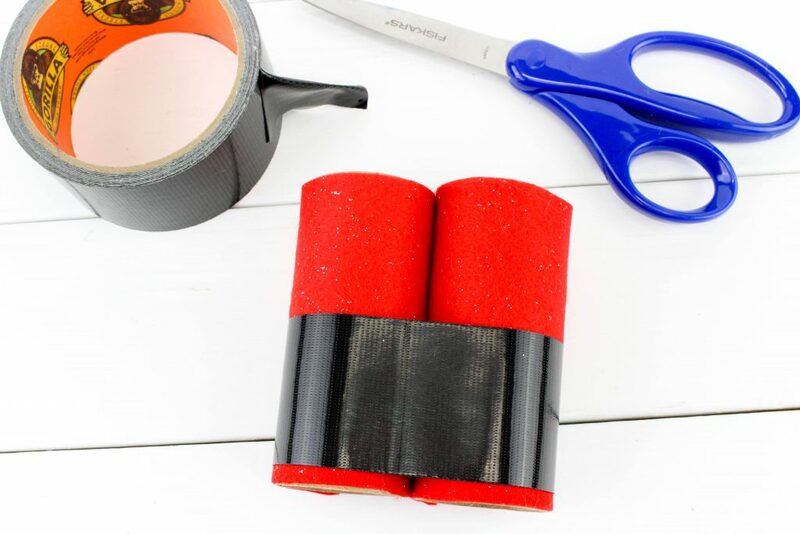 This looks like such a fun craft idea! I am always looking for crafts to do with my children and this looks like the perfect festive craft! thats too cute! and easy to make ! This is such a cute and easy idea! I can see myself making these. Thanks for the tip! 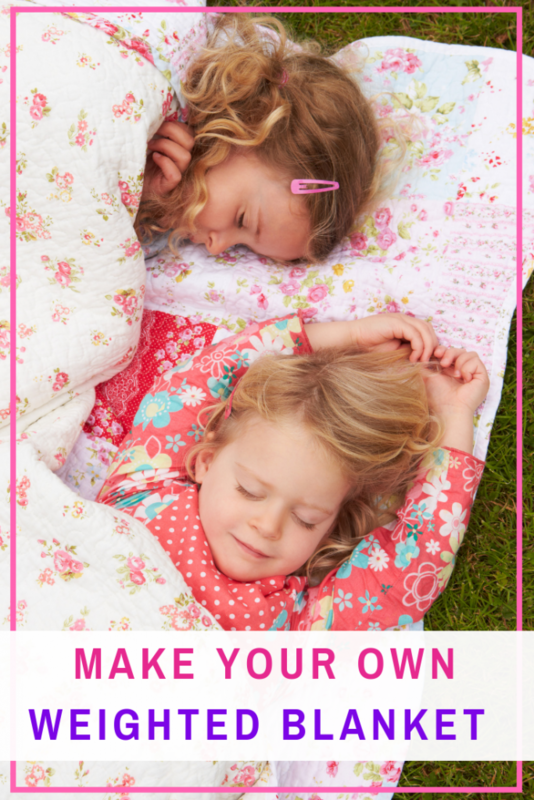 Wow, this is so cute and really a fun project to do with kids and I am sure they will love it! I love being able to do crafts like this with my little ones. Thank you so much for sharing. I need to start gathering all of my supplies too. This is such a cute craft idea! They turned out great. What a super cute craft! So easy to make, too! This would be just perfect for keeping the kids occupied on Christmas eve, then go out to look for Santa! I love DIY and this is such an amazing one. Thank you for sharing it. You know I’ve been saving some toilet paper rolls! This is the perfect thing to do with them! I’ll have to give it a try myself. oh wow, Such a fun and cute idea. I love how creative you are doing this. My kids would love this for sure. These look like such fun to make, and what a genius idea too! A lovely craft idea to make together with the children! we’ll give it a try! Very cool idea. My daughter is into anything crafty, she will surely enjoy making these.